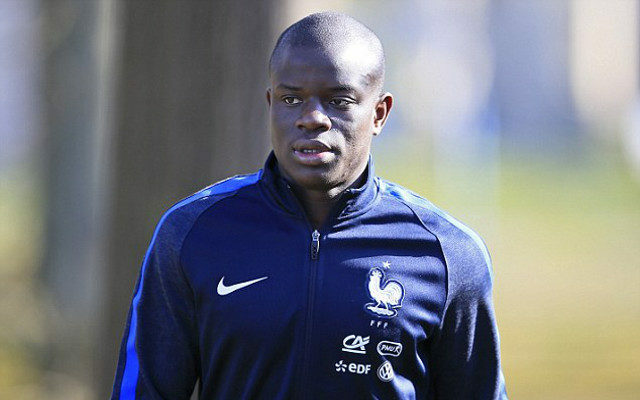 France coach Didier Deschamps will be without Adil Rami and N’Golo Kante for their quarter-final game at Euro 2016 next week. Despite the delight that the squad would have felt after their 2-1 win over the Republic of Ireland in Lyon on Sunday, they will be weakened for their next outing which will pit them against either England or Iceland. Both Rami and Kante went into the game knowing that they were a booking away from a suspension, and both picked up yellow cards from referee Nicola Rizzoli to ensure that they will be absent in the next game. In turn, Deschamps has a problem on his hands as he is already short of options in central defence, with Rami’s absence likely to mean that Eliaquim Mangala could be brought into the starting line-up despite a shaky year with Manchester City this past season. As for Kante, Moussa Sissoko could be brought in to cover, although Deschamps may well have stumbled across a better solution in the second half against the Irish. With Paul Pogba in a deeper role and substitute Kingsley Coman in an advanced playmaker position, France looked more balanced and more dangerous as they turned the game around and sealed their passage into the next round. It remains to be seen if Coman is fit to play in the quarter-final game though as he was forced off late on with a knock, but Deschamps will certainly have a selection headache or two ahead with a possible showdown with England to prepare for.